When a judge enters a final divorce decree, several court orders accompany that decree determining matters such as child support, child custody, alimony and the division of marital property. Even though these matters are meant to be final when entered, all of them except property division can later be modified if justified by changed circumstances. A post-divorce modification of a court order requires going back to court and proving the facts that justify the change. If the other party opposes the proposed modification, then the court will have to decide the matter following a period of litigation. 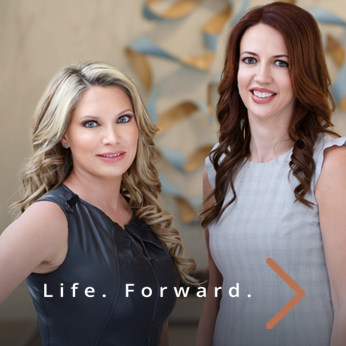 Whether you are working together with a former spouse on a modification, or you are seeking or opposing a change in court, an experienced Atlanta modifications lawyer at Buckhead Family Law can provide the advice and representation you need to help you get the result you are after. Child support is typically established according to the Georgia Child Support Guidelines, although courts can deviate up or down from the guideline amount according to the needs of the children and circumstances of the parents. The amount initially established can later be modified upon a showing of a substantial change in circumstances. This could be a substantial change up or down in either spouse’s finances, or a substantial change in the needs of the children. Also, if child custody is modified, a modification of child support may be in order as well. Any kind of modification to child custody is available when material conditions exist which substantially affect the child’s interests and welfare. Although parents can agree on their own to changing aspects of parenting time and the parenting plan, it is important to have any modification approved by the court to ensure that child custody orders will be enforceable and to keep the parents in compliance. A change in child custody may be necessary when either the custodial or non-custodial parent is seeking to relocate a significant distance from the other parent. In deciding these cases, the court will look at the child’s relationship with the non-custodial parent, the child’s ties to schools and friends in the neighborhood, and the reason or need for the parental relocation. Visitation can also be modified when requested in the context of a child custody modification proceeding, or the court can modify visitation on its own motion. As with child support, alimony may be increased or reduced post-divorce based on a change in income or financial status of either former spouse. Also, alimony may be reduced or terminated if the party receiving alimony is voluntarily cohabitating openly and continuously with another or is engaged in a sexual or romantic relationship. Proving or challenging these matters in court can be difficult and are best handled with the assistance of an experienced divorce attorney. Apart from modification of divorce orders, our office can also help with enforcement of court orders regarding custody and support. We utilize all of the tools available to force compliance with payment of child support or custody exchanges, including civil contempt proceedings. If you are seeking a modification of child custody, child support or alimony, or if you have been notified that your former spouse is seeking a change, contact Buckhead Family Law at 404-600-1403 to speak with an experienced and knowledgeable Atlanta modifications lawyer about the likelihood of success in a post-divorce modification.